P+S Technik offers the complete rehousing of the Canon K35 lens series. These rare and attractive (Oscar awarded) lenses that cover “Full Frame” and “RED 8K”. 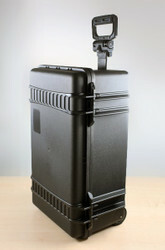 With the PS-Rehousing, the lenses receive an improved focus and iris mechanisms. The lenses will be mounted into the P+S Technik SL-housing with a front diameter of 110mm. With the SL-housings P+S Technik offers its first rehousing for lenses with floating elements. 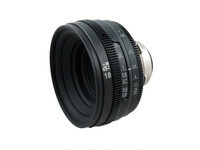 The rehoused lenses will be supplied with PL-Mount and meter or feet markings. Other exchange mounts (Sony-E, Canon-EF, MFT) are available as accessories. The lens block will be provided by customer. P+S Technik has optional lens servicing available as well. Canon manufactured the K35 lenses in the 1970's and early 80's. The lens speed varies dependent on serial number. 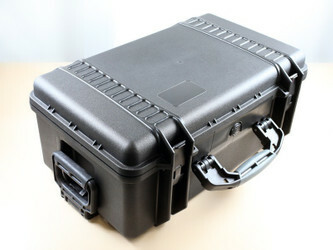 P+S Technik offers rehousing for the different versions. Canon K35 lenses easily pair well with the Canon FD lenses of 14mm, 100mm, 135mm and 200mm.